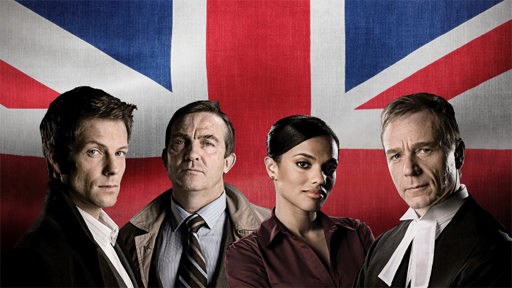 Last night I was watching an episode of “Law & Order: UK” on BBC America, and was impressed by the extent to which the writers just expect you to keep up with the idiom, and the small differences between American and British culture and assumptions. For instance, there’s a scene in which detectives are fretting over the fact that they can’t easily retrace a suspect’s movements: He doesn’t carry a mobile, and probably doesn’t have an Oyster card. Then, a moment later, there’s a reference to CCTV. The folks who do the show’s website are less respectful of the audience’s intelligence. The “British Terms Glossary” wastes time with “bloke” and “coppers” and “flat” and “guv.” Let’s face it, folks — if you don’t know what those mean, stick to re-runs of “Hee-Haw” (“Hey, Grandpa: What’s for supper?“) or the like. They also define “mobile,” but we know what that is too, don’t we? The Oyster card is more subtle (and, you would think, a far more likely candidate for the online glossary than “Tube”). It’s the card you buy, and top up (do we say “top up”? I forget — but they say it a lot over there) as needed, to use the magnificent London system of public transportation. You swipe it to get through a turnstile on you way into a Tube station, and — here’s the pertinent part — you do the same to get out at your destination. Which means there exists an electronic record of your movements through the city. In the previous scene we had learned that the suspect had a fear of crowds that kept him away from the Tube. So, no Oyster card. Of course, such consciousness of being watched — that those bright yellow signs — are a large part of the deterrent effect in themselves. All of which is fine by me. As I always say, knock yourself out, Big Brother. I was conscious that some of my more libertarian friends back here in the States might have found it all creepy, but at no time in my sojourn in Airstrip One — I mean, England — did I feel the least bit put-upon or oppressed. To me, it was part and parcel of being in a place that is very much like home, with freedom-loving people who respect the dignity of the individual, but where the politics is not plagued by the legions of radical-individualist paranoids who resist any effort at putting any sort of rational infrastructure in place. I loved the novelty of being in a place with such a dream public transit system, and where waiters and bartenders don’t mind not getting tips (or at most, don’t expect more than 10 percent) — after all, what are they worried about? They have health benefits they cannot lose. And I was very happy to pay the taxes that helped pay for it all. Some friends advised me that I could get a VAT refund on leaving the country, but there was no way I wanted that. I was happy to pay my share. (And yes, sometimes it all goes overboard, which is why the coalition government is cutting back — AND raising taxes, remember, which they’re able to do because their conservative party doesn’t make a religion of irrational tax hatred. But on the whole, it was wonderful to be in a place where it’s assumed that one should have the Tube, and the buses (that’s “coaches” to you) and trains and parks and fantastic free museums (contributions suggested, but quite low and entirely voluntary) and a population of people who don’t fear being ruined by an unplanned sickness. And which doesn’t mind being on Candid Camera, if it means you might catch a crossbow robber now and then. Why DO Americans freak out so over single-payer? This entry was posted in Crime and Punishment, England, Marketplace of ideas, Popular culture, Rule of Law, Television, The World, Travel, Words on January 22, 2011 by Brad Warthen. Will always be a puzzle to me why you are so passionate about our defense or promotion (at cost of blood) of liberal democracy in other countries, yet so lukewarm and blase about so many of its basic tenets at home (or in Britain, in this case, but which of course could be said to be THE home of liberal democracy). 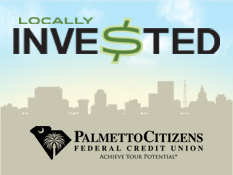 Have you considered moving there? I sense you’ve talked yourself into England being a much better place to live than the US. Great place to live, and although there are problems in the health care system, you are right, they are much better than ours. I broke my leg in GB in 1997, and had superb care. They would have done the operation there immediately, but since I was headed back to Germany, it had to wait until I got home. I sent the crutches back to the hospital in Lancaster as soon as I had an opportunity. They hadn’t charged me anything for them. Good grief. Can’t write English anymore. And perhaps a good contrasting article on the state of American society in contrast to some of the equalization of wealth that takes place in Europe: Why the Rich and Getting Richer in the journal Foreign Affairs. The L&O:UK scripts are rewritten American scripts. If you’re familiar with the show, it’s fun spotting the similarities. When I lived in England, in 1980-1, it was perfectly safe for a young woman to walk about at night, unlike here in Columbia. It was so liberating–I didn’t need a companion everywhere I went. If putting cameras everywhere made that possible again, I’d be for them. The fact is that ever since Ron Galella made Jackie Onassis’s life miserable, it’s been fairly well-settled that you have no expectation of privacy while on public property. Works for me. Is there any aspect of your life that you wouldn’t turn over to the government? I don’t see how you get so offended when I suggest that your philosophy is based on more taxes and more government. I don’t think you will be satisfied until our colonoscopies are piped directly into the Pentagon. The America you pine for bears no resemblance to anything that is described in the Constitution. Phillip, just as you’ve heard “if-you’ve-got-nothing-to-hide-no-worries” (which, by the way, I did not say, and would not) more than you’d care to, I’ve heard Grayling’s points over and over and over since I was in school. (I was quite fond of reading dystopia novels when young, and while I joke about loving “Big Brother,” I know I really wouldn’t.) And perhaps it’s started to sound like crying “wolf” to me. If I ever saw an indication that Britain or the U.S. were turning toward tyranny, perhaps I’d begin to worry about such things. But I haven’t, ever. And it seems unlikely in the EXTREME that any such thing could sneak up on me in these two countries; I believe I’d see it coming a thousand miles off. You know why? Here’s the ironic part. The hypersensitive libertarians I decry, the ones who see tyranny and the degradation of freedom EVERYWHERE, every day, are a great early warning system. They constantly call even my attention to the slightest hint of real encroachment upon liberty. And they are supported in this by the culture, by impulses and instincts and habits of mind that saturate the minds and hearts and very bodies of Britons and Americans — especially Americans. Good Lord, but look at all the screaming fits we had over the Patriot Act — something pretty mild compared to measures our freedom somehow survived in the 1940s or 1860s or even 1790s (I’m thinking the Alien and Sedition Acts). Perfectly sensible, intelligent Democrats were going around talking about how “George Bush had trashed the Constitution,” as if they were talking sense. Nothing actually resembling tyranny would be able to get past an early warning system like that. If the real thing came along, we’d ALL rise up and stop it — because the wonderful thing is, we retain that power. We demonstrate it all the time. We overthrow governments at a whim, and politicians are more sensitive to anything unpopular than libertarians are to the encroachments of government. You probably think I’m overly sanguine, that I just don’t know tyranny when I see it. But I do. We have examples of it all around us in the world today. The contrast between what goes on in those countries and what happens here and in the UK is marked, and unmistakable — so much so that I am often shocked that some of my liberal friends can’t tell the difference between REAL oppression and something they don’t like that happens here. Bottom line, though… for me, the CCTV thing is less about politics than about privacy — which is a cultural rather than constitutional issue, in the sense that a lot of people are just way more bothered by people watching them than I am. I’m not crazy about it; I just don’t mind it as much as a lot of people do. It might be because I’ve spent so many years revealing everything I THINK to the world that the idea of someone seeing me buy a newspaper and a can of beer at an off-licence doesn’t bother me. I mean, you know — when the fall of democracy comes guys like me will probably be among the first against the wall (surely, of all the opinions I’ve expressed, something will offend the new regime), so worrying about people seeing my shopping habits just seems trivial. How about this? Why don’t we put cameras into every office of every government official and tape every telephone conversation made by elected officials? And every single email that is sent from a government owned computer can be funneled into a big database that can be searched by the public instantly. Let’s start with that and then move onto watching citizens buy a pack of gum. Thanks for the thoughtful response, Brad. I think you tend to see the “hypersensitive libertarians” all around you, as that “early warning system,” but the reality is that most Americans even are not terribly strong civil libertarians; the pull of abstract ideas of “liberty” is weakening relative to desires for security, and especially material well-being. It’s very well-documented that young Americans, especially, have a very slim grasp of civics and even of the basic tenets of the Bill of Rights. The Patriot Act remains popular; just renewed by voice vote last week…did anybody notice? 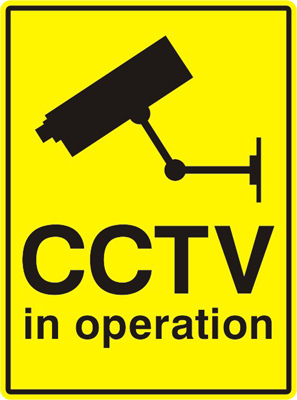 Polls show in Britain that CCTV is strongly supported. Your invocation of “tyranny” is a bit of straw man: surely we can agree that there are many stages far short of outright tyranny that would still be unworthy of a nation wishing to be thought of as a “liberal democracy.” “Hey, we’re not even close to Sudan or Burma” should not be our guiding principle in safeguarding our civil liberties, wouldn’t you agree? I like the “boiled frog” analogy used by Ross Anderson of Cambridge University in discussing this topic: the frog fails to jump out of the saucepan as the water gradually heats. If liberty is eroded slowly, people will get used to it. What’s more, if the tools to do damage are written into law, then the harm to an individual can be done and with little if any recourse. It may not be out-and-out tyranny, the vast majority of citizens may proceed in their lives with no sense anything is amiss, but if you are one of the unlucky ones, you’re perception of the benefits of this great liberal democracy are bound to be somewhat different. Right now because of current events this tends to happen to people named Gulet Mohammed and Ayman Latif rather than people named Brad, or Phillip; but the point is, if the mechanisms for this are legitimized, all of us potentially face the abuse of power. None are immune. You feel confident that we’d “all rise up to stop it,” but I’m not nearly so optimistic, because you’re imagining some grand coup d’etat(comfortably far-fetched enough that you can dismiss it)…I’m just imagining an unacceptable number of American citizens detained without trial, or being exiled abroad forcibly by being placed on no-fly lists, or otherwise having their lives disrupted with no form of legal recourse, while the majority of us go on shopping and feeling free and patting ourselves on the back. And on that note, when are you going to China? Would be an interesting compare/contrast with moving/blogging around in England. What happens to cheeky Westerner blog posts, and the uppity bloggers who blog them, when they tickle the Great Firewall? Seems like the equivalent of the TSA in the U.S. A whole lot of tax dollars spent with no evidence of any value. Color me unsurprised. Brad likes systems and processes but doesn’t really care about results. Phillip, the hypersensitives around me show no signs of going away, and their zealous watchfulness never abates. For instance… Doug’s over-reaction with his “Is there any aspect of your life that you wouldn’t turn over to the government?” And that was his reaction to my mild observation that I don’t mind CCTV. He goes on to suggest that we put cameras on every government worker in their cubicles. And THAT I would have to think long and hard about. This, no doubt, causes Doug to think “See? He wants to protect GOVERNMENT, but not free enterprise.” But what he would miss in saying that is that my standard is not ideological or philosophical (which is why I have such disagreements with him and other who agree with him). I look at it pragmatically. To me, the camera does no harm, and could do good, in a place where a) it does not interfere with the things that are supposed to happen in that place, and b) might afford some protection where it could be useful, and c) it’s a sensible use of resources, and not overkill. For instance, an “off-licence.” Might do some good (such as helping identify those dastardly crossbow robbers), thereby affording some protection to the clerk. And it doesn’t get in the way of the commerce that goes on there. And it’s fairly cost-effective. But I actually have my doubts about cameras in some of the places where even libertarians would like to see them, because I DO think they interfere — because of their effect on human behavior. Courtrooms, for instance. Lots of journalists will advocate for cameras in the courtrooms (and as a journalist who was once reprimanded by a judge for taking photos in court, you might expect me to be among them). But I worry about their effect — particularly video cameras. I base this on my observations of a lot of courtrooms in operation early in my career. But an example that most of us share is the abomination of the O.J. Simpson trial — a courtroom full of people (including the judge) playing to the cameras, and nobody saying hold up, cut it out with the shenanigans. I’m also disturbed by the effect of cameras in Congress. You have members giving speeches to cameras (in empty chambers) and doing other things that they simply would not do if the cameras were not present — things that, rather than giving a true picture to the public of what they’re doing, are really just a phony show. I know how differently I act (or at least, the way it feels) when I’m on TV rather than, say, radio. There’s a falseness, a self-consciousness, that’s difficult to shake. I’m very aware of the effect of the camera. Rather than thinking, “What am I saying?” there’s a tendency to think “How do I look saying it? Am I sitting up straight?” etc. And to me, that interferes. I don’t think people MEAN to be false and phony on television, but they often can’t help it. So, while I think CCTV is a great thing in the public square, or in a location (a business, or a government office that deals with the public) where business is conducted that entails a risk, it’s a good idea. For instance, while it may add even more stress to cops’ jobs, those cameras on Highway Patrol cars are probably a good thing in the final analysis. But cameras everywhere watching everybody do everything? I worry that a) it could get in the way of people concentrating on their jobs and b) I think it would be a ridiculous expenditure of resources. Great for the camera manufacturers and security services, but not really for the rest of the economy. Also, Doug suggests that buying a pack of gum is an innocent act. Obviously, he didn’t have some of the teachers I had in school. I’m not entirely clear what the problem was, but I’m sure they knew what they were doing (being teachers and all), and judging by their reactions, there must be something really wicked about gum. I would worry about cameras in the courtroom for the opposite reason of people performing for the camera. If it was ever necessary for me, personally, to be a witness and I had important information to share, it would be challenging enough for me to deal with talking in front of a roomful of people – the thought of it being on television as well would probably literally render me speechless. Such is the nervous system God gave me. I am Ok with this – I have learned to live with it, but in the interest of actually getting to the truth in a trial, which is supposed to be the point, I think cameras would be bad – like you said – because of their effect on human behavior. What does everyone think about using cameras to catch motorists running red lights? It’s a controversial procedure but there is evidence that it reduces serious crashes at signalized intersections. I’m for it. I’m all for them, Bud. And thanks for your contribution, Scout. I think having a camera on Miss Mayella would have cramped Atticus’ style during the cross-examination, don’t you? I paid 100 DM back in 1980 for running a red light in Konstanz, Germany; today it would probably be more like 500 Euros. I didn’t argue with it; I was guilty–trying to keep up with my friend driving in front of me. These red light cameras are good, but they have to give the yellow light a bit longer, apparently to prevent an upsurge in rear-end collisions. I get a kick out of the people who argue that surveillance cameras trample on their individual rights. Huh–what rights? The right to break the law? Give me a break!